If you live in Southern California make time to stop by The Big Photo Show this weekend. Thanks to Sigma USA I will be back at the LA convention center for the second TBPS (The Big Photo Show). Last year was packed I was told there were over 20,000 at the event. This year will be a lot bigger with even more companies displaying, more live events, and even more presentations. If you do decide to go don't just show up, make sure you register for tickets ahead of the event. Sigma USA will be sponsoring me for two presentations and I will be making time to hand out signed 8x10 prints in the Sigma booth after my show. My presentations will be Saturday May 17 at 5 PM and Sunday May 18 at 1 PM so hope you can make it, see you there! If you are in the Las Vegas area this weekend stop by the South Point Hotel for the Cam 2 Cam Expo: http://www.camera2cameraexpo.com/ There will be lots of educational presentations, shooting workshops and equipment vendor displays at the show. 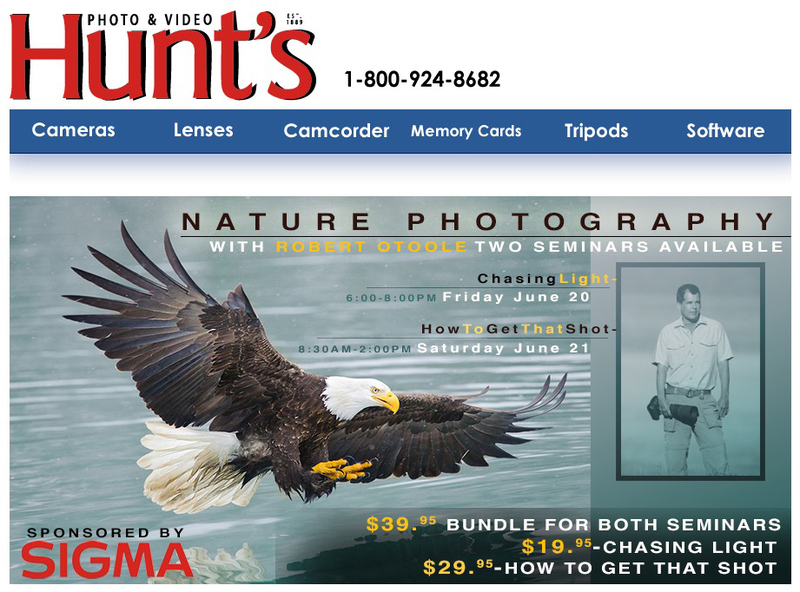 Thanks to Sigma USA I will be presenting image slideshows on friday and Saturday so I hope to see you there. Nevada is under a Excessive Heat Warning this weekend with record setting temps at 117 or more are expected in Las Vegas Saturday. So this weekend should be an interesting, maybe even record setting! This weekend I will be in Arkansas for the Mid-America Photography Symposium thanks to Sigma USA. This Photo event will take place in Eureka Springs on June 1-2, 2013. Over the two days of the event I will be leading a workshop and giving a presentation, Sigma USA will also have a booth there and some loaner equipment. If you are in the area I hope you can join us! I am looking forward to this event since this will be my first time visiting AR. Thanks to Sigma USA and Jobu designs for making it possible for me to part of the show. PMA@CES, reflecting its rescheduling to coincide with International CES, a major annual consumer electronics trade show also held in Las Vegas. For an inaugural event The Big Photo Show went about as well as you can get, there were over 16,000 certified attendees, not including staff or exhibitors! The theater where I gave my presentation ran really smoothly and was packed with people sitting in the aisles and standing 2-3 deep, at least 250 people for each show. The entire event was very well organized and ran really well. I really enjoyed meeting so many photographers and having the chance to speak to people at the show and one on one. Thanks to everyone who make it to the show! It was so busy on Saturday that the Sigma booth staff ran out of catalogs, flyers and cards early on the first day. I was told Samys and Pauls had to restock the booth a few times due to the sales of Sigma lenses and other products. Big thanks to Sigma USA, Jobu designs, Pauls Photo for making it possible for me to part of the show. Being a Los Angeles native and growing up in the area it really meant a lot for me to be able to work at the LA convention center since I have lots of good memories visiting there for different shows. Its always nice to work with Pauls Photo I have always had good experiences visiting Mark or his father for advice or shopping for items for a couple of decades! I am sure next years show will be even bigger and better!